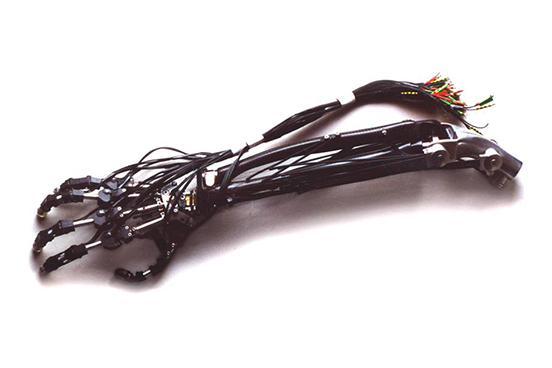 The Sheffield Arm was an articulated model of the human upper-limb researched and developed at Sheffield Hallam University by Dr Graham Whiteley as part of his PhD. prior to the company’s inception. 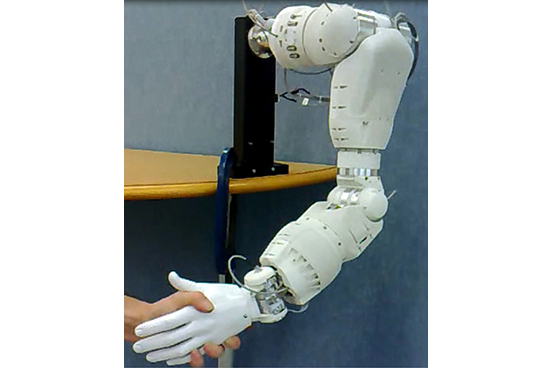 The aim of the project was to elicit knowledge on appropriate mechanical articulations that would permit life-like movement of a replica of the human arm. In addition to adding to knowledge, this project resulted in several tangible models. During this research, several international universities were contacted working on ‘artificial muscle’ materials (aka Electro Active Polymers EAP’s). 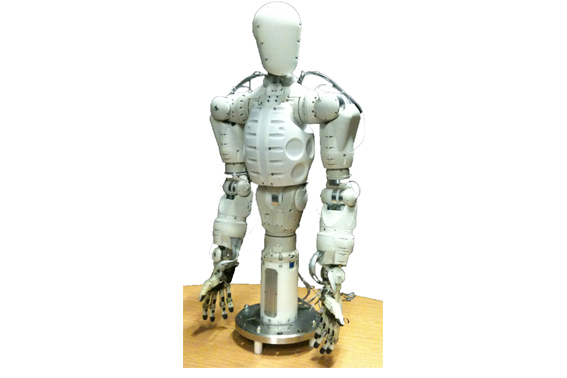 It was considered appropriate to provide some of the Sheffield models to these laboratories in order to advance the state of the art in upper-limb prosthetics. One of the arms also went to the NASA Jet Propulsion Laboratory where it is being used as a test rig for their ongoing research into artificial muscle materials. The arm was a valuable piece of research from which we were able to draw upon for work, allowing us to begin to build the company. Orebro University became aware of the work carried out on the Sheffield Arm and approached Elumotion with the hope that it could articulate the arm by utilizing Electro Active Polymers to act as actuators in a similar manner to that of the muscle; however, at that time the EAP technology did not yet have the necessary power for this to be effective.